Keeping up with Petrov. 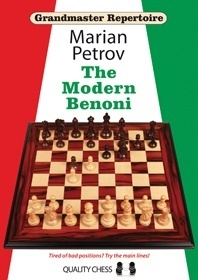 The Benoni is quite popular but now Petrov’s nice book is getting a bit dated. White is better with an usual kingside pawn arrangement. But how should he proceed? Black got greedy and took the b-pawn earlier in the. The result was a serious lag in development.